Winter is approaching and although the Sun is still out here in London, all I want is a hot drink to settle down with. Fancy something different to your usual tea or coffee? Below are my favourite hot chocolate brands, the ideal warmer during winter months and also a perfect sweet snack to satisfy daytime or evening cravings. Add some extra components to these base ingredients, for added nutrition and / or flavour. I’m adding a shot or teaspoon of fresh turmeric or ginger juice to mine, and during the day, a little he shou wu, maca, tocos and ashwaganda. Embrace your inner alchemist! 1. Zenbunni’s Shaved Dark Chocolate - biodynamic, raw, handcrafted chocolate spiked with a selection of adaptogens. Mix with hot water or milk of choice. 2. Zenbunni’s Vanilla Reishi Gheenache - an alchemical blend of biodynamic and organic stone-ground chocolate and full moon-made ghee. A delicious and nutrient-dense superfood, it is filled with essential minerals, vitamins, and fats for a healthy & magical chocolate experience. Just mix with hot water or milk of choice. 3. 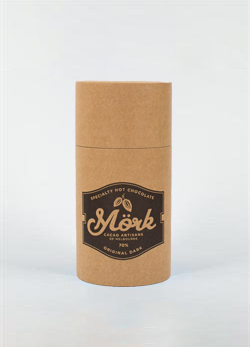 Mörk Drinking Chocolate - crafted with cocoa powder, 100% cacao liquor and sweetened only with unrefined coconut blossom sugar. Mix with hot water or milk of choice. 4. 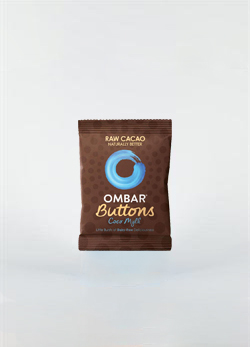 Ombar Mylk Chocolate Buttons - Raw chocolate buttons make with creamed coconut and sweetened only with coconut sugar. Chop roughly and mix with hot water or milk of choice. Or anything Ombar for that matter. Chop roughly and mix with hot water or milk of choice. 5. Loving Earth Creamy Drinking Chocolate - Fair trade, dairy-free, gluten-free, organic, vegan, vegetarian, and again, sweetened only with coconut nectar. Mix with hot water or milk of choice. Pure Raw / Ceremonial Grade Cacao Powder - pure and simple. Mix with hot water or milk of choice, and sweeten gently if desired with natural syrup or other natural sweetener. Either use 1/2 shot glass of fresh ginger juice (made using a juice or by blending 20-30g sliced fresh ginger with 60ml water) or brew 250ml water or plant-based milk of choice with either sliced fresh ginger or 2 ginger teabags. (You can also use ground ginger but the flavour wont be as strong, the nutrients wont be as active and you will find the ginger doesn’t dissolve and combine fully). If using water, boil in the kettle and then add the shot of ginger juice or, if using fresh ginger, steep in a mug or small bowl. Add your chosen hot chocolate powder or solids, and stir to melt and combine. If using a milk, heat in a small saucepan and add either the shot of fresh ginger juice or, if using, the fresh ginger slices. Bring to the boil and then simmer for 10-20 minutes. Leave on the hob but switch off the heat and continue to infuse for as long as possible (if you’re in a rush or don’t want to wait, you don’t need to do this extra infusion step, but if you have time, leave for an hour or so just to deepen the flavour). Then, stir in your chosen hot chocolate powder or solids, and stir to melt and combine.